Packs There are 74 products. Idéal pour acquérir et offrir du matériel de musique de qualité adapté à vos besoins et pour se faire plaisir. 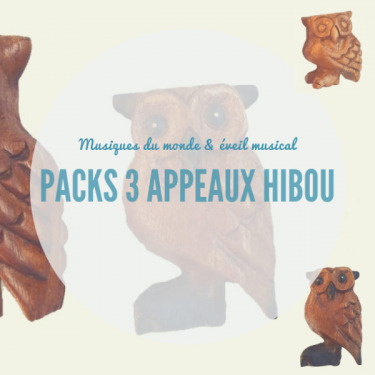 Pack of 3 Wooden owl bird calls and sounds (8,5 cm, 10 cm, 12,5 cm) by Roots Percussions. This owl call is an instrument used to reproduce a pleasant and easy to obtain sound. This call will be perfect for musical awakening, relaxation, music therapy and all musical creations requiring sound effects and special effects. 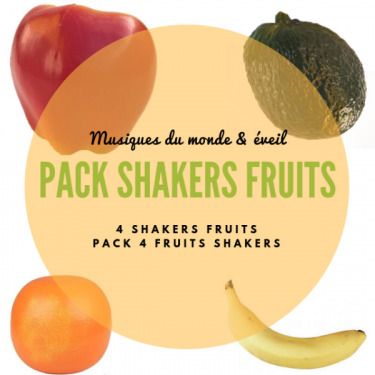 Pack 4 fruit shakers by Roots Percussions. This pack of shakers consists of 4 shakers shaped fruit. Nice instruments for musical awakening, sound effects and artistic creations. Ideal for a set of instruments for nursery rhymes. 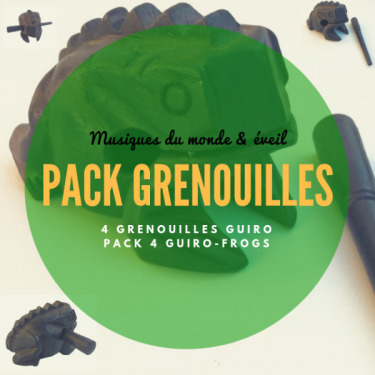 Pack 4 Guiro frogs Black Wood by Roots Percussions. This frog pack consists of 4 hand-carved instruments. Nice instruments for musical awakening, sound effects and artistic creations. Guíro Frog wooden pack of 4 different sizes: 6 cm, 8 cm, 10 cm, 13 cm. 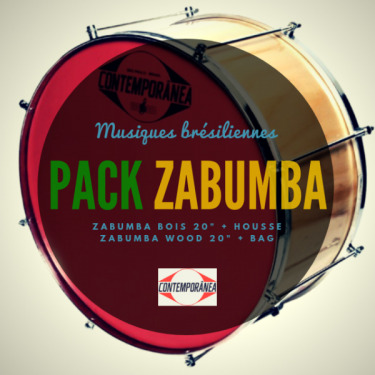 Pack Zabumba Contemporânea 20" x 20 cm wood + Deluxe Bag Roots Percussions. 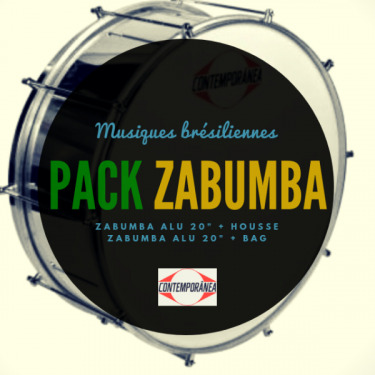 Pack Zabumba Contemporânea 20" x 20 cm alu + Deluxe Bag Roots Percussions. 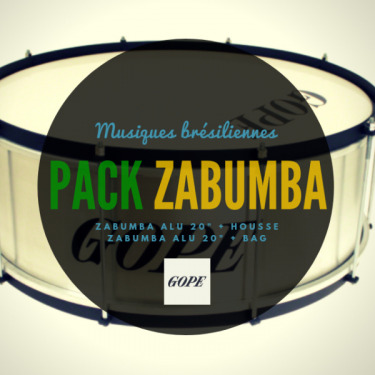 Pack 20" Alu Zabumba Gope Black Hoop 20cm Depth + Deluxe bag Roots Percussions. 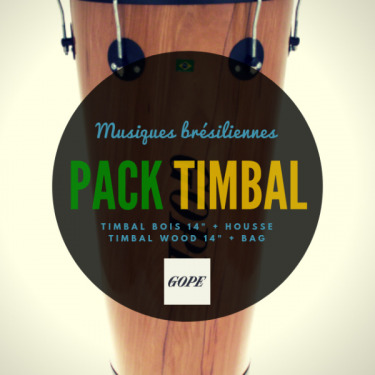 Pack 14" Wooden Timbal Gope 6 Lugs Black + Deluxe Bag Roots Percussions. 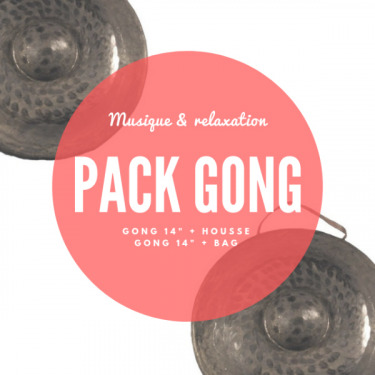 Pack North-Viet Gong 16" + deluxe bag Roots Percussions. 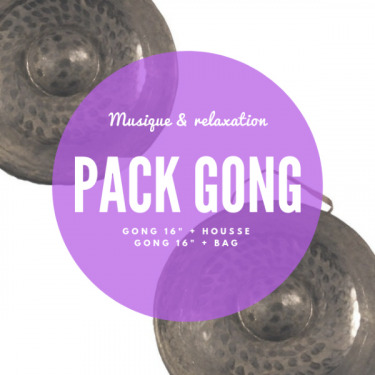 North Vietnamese Gong Pack 14 "+ Deluxe Roots Percussion Bag. 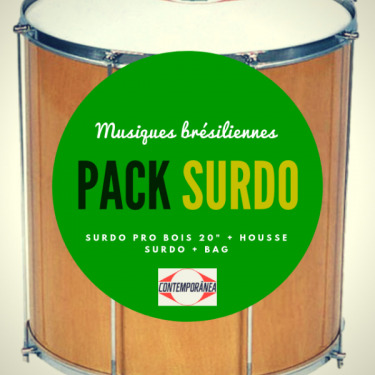 Pack Surdo Contemporânea Pro Wood 20" x 60 cm + deluxe bag Roots Percussions. 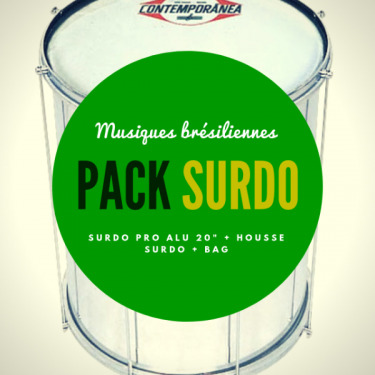 Pack Surdo Contemporânea Pro Alu 20" x 60 cm+ Deluxe Bag Roots Percussions. 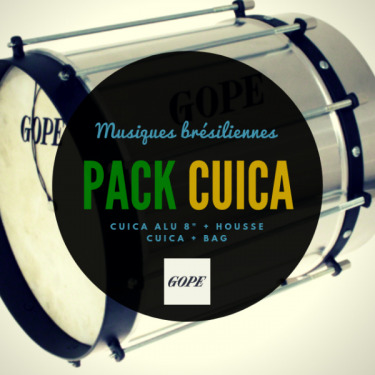 Pack Cuica Gope Alu 10" x 30 cm + Deluxe Bag Roots Percussions. 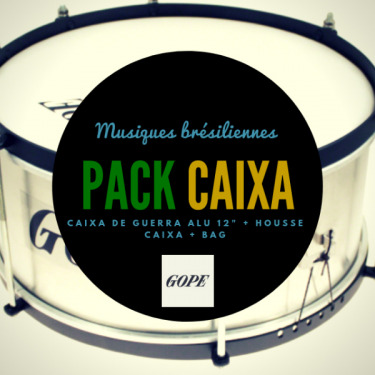 Pack Caixa de Guerra Gope Alu 12 "x 15 cm + Deluxe Roots Percussion Bag Available for purchase at Djoliba music store. 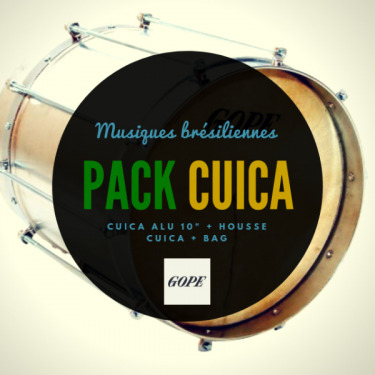 Pack Cuica Gope Alu 10 "x30cm Natural Skin + Deluxe Roots Percussion Soft-Case. 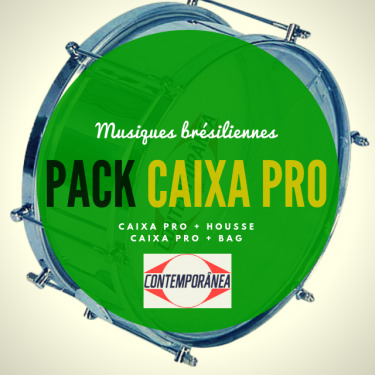 Pack Caixa guerra Pro 14" x 15 cm Contemporânea and Roots Percussions deluxe bag.